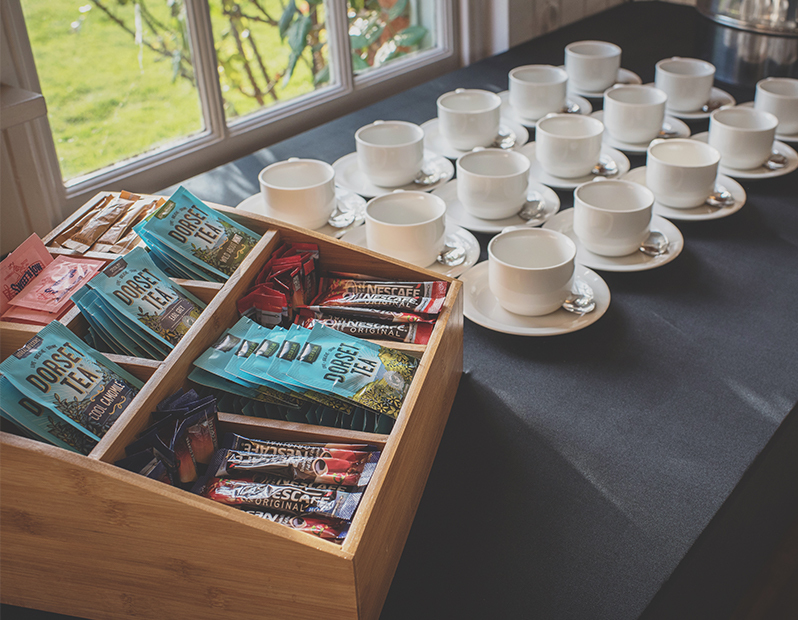 A selection of Granulated Coffee, Decaffeinated Coffee, Dorset Tea, Decaffeinated Dorset Tea, Premium Herbal and Fruit Teas, Fresh Semi-skimmed Milk, Granulated Brown Sugar, White Sugar and Sweeteners. Beautifully displayed with our Bone China Cups, Saucers and polished Tea Spoons. Unlimited usage, for a two-hour period after the Wedding Breakfast. Easy for your guests to help themselves.